Everyone knows that ladies don’t fart or poop…or do they? For millennia, women have farted delicious cotton candy flavored farts and kept this secret for themselves. No wonder they sneak off to pass gas, they’re trying to savor the flavor and aroma for themselves. 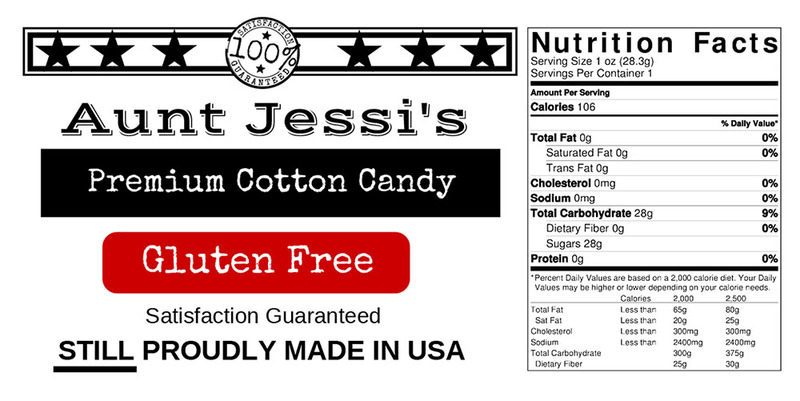 Now, anyone can enjoy the fantastic odor and taste of Lady Farts Cotton Candy. It doesn’t matter if she ate kale or the extra-large beef and cheese burrito, she’s passing this fabulous gas, and we’re bagging it up for you. 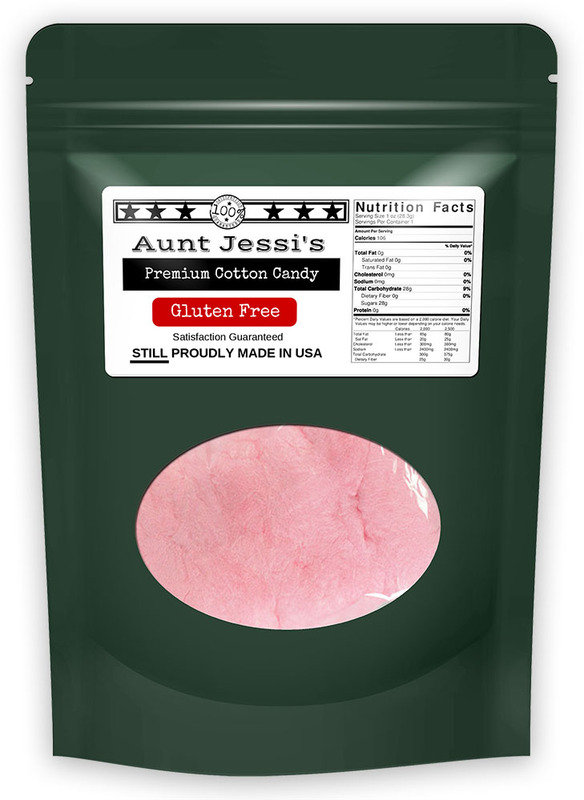 You can open it up whenever you want and taste the refined glory of Lady Farts Cotton Candy. Cutting the cheese. Passing gas. Floating an air biscuit. There are a million ways to tell someone you ripped one, but why not just hand them a bag of the good stuff? Lady Farts Cotton Candy bagged up the rarest item in the universe…lady farts. 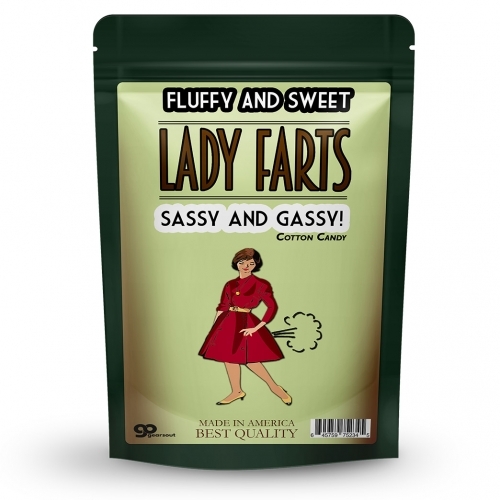 Rarer than diamonds and worth their weight in gold, lady farts can transform the way you live. 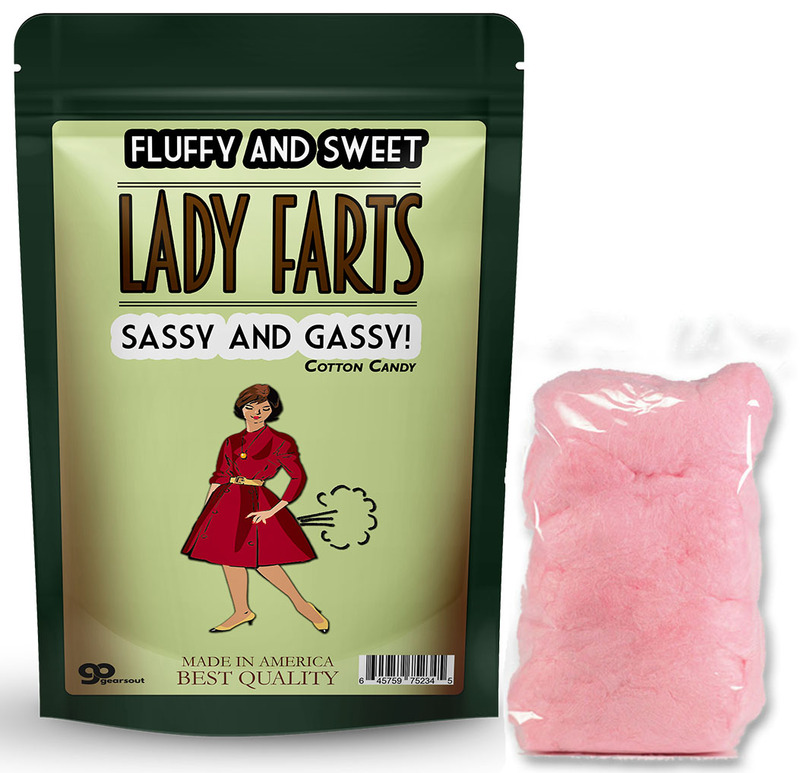 Who would love Lady Farts Cotton Candy? Anyone who has been curious about this phenomenon will love getting a sweet-smelling bag of Lady Farts as a gift. You can even give it to ladies to let them know that you’re in on their little secret. They look and smell amazing and just wait until you put some fluffy lady fart in your mouth. YUM! I’m a lady. I don’t fart. Will you please remove this false product? HA! The jig is up, sister. We know you fart, and you fart hard. There’s no denying the truth. Your farts are fabulous and must be shared with the world. A bag of lady farts is something special. Don’t be embarrassed. Think it of striking the first blow for feminine freedom to flatulate fiercely! Inspired! I’m a guy. Can you bag my farts too? Dude, that’s gross. No. Why would we bag up stinky man farts? People eat this stuff! Don't be crude!